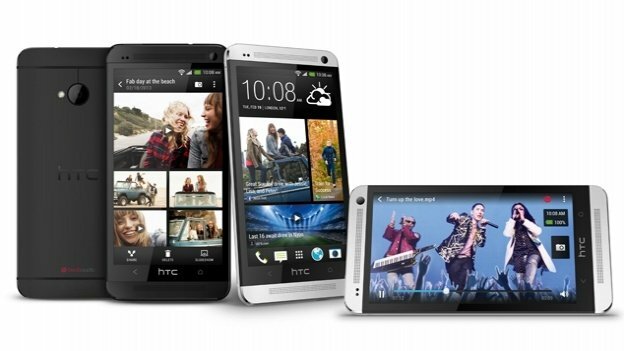 HTC has unveiled its new flagship smartphone, the revamped HTC One, as it attempts to regain lost market share. HTC uses Google’s latest operating system, Android Jelly Bean, features a 4.7 in (12 cm) 1080p high display and includes a so-called ultrapixel camera. The body is made fully of aluminium and has front-facing stereo speakers. HTC launched the device in New York, a week before the start of Mobile World Congress, in what analysts say is a bid to secure attention for the phone. The smartphone market is currently dominated by products from Apple and Samsung – HTC has lost much of its market share over the past two years. It hopes that new software features will help to make its new handset stand out. One of them is BlinkFeed, a personalized content feed on the home screen, that – according to HTC – “aggregates the freshest content from the most relevant sources as identified by you, providing instant access to news and social feeds without the need to jump between multiple applications and web sites”. Another feature, called HTC Zoe, captures short high definition videos instead of still images before and after the camera shutter is pressed, so that users can chose the best picture to capture the moment. The software can also turn a gallery of still images into a collection of mini-videos. HTC also boasts that its “ultrapixel” camera and software produce the best low-light shots available on any smartphone camera – a direct challenge to Nokia. The HTC One’s rear camera’s sensor is bigger than those traditionally fitted to smartphones, and its pixels are also larger than normal. The result, the firm says, is that it can produce clear shots in poorly lit situations. However, the trade-off is that it only has a four megapixel resolution. It may outclass much of the competition, but the firm faces a challenge convincing consumers that the camera is as good as rivals’ featuring 13 megapixels or more. The Taiwanese company hopes that both its hardware and software innovations can help it to regain ground lost to Apple and a bevy of rivals using the Android operating system, in particular Samsung. Despite positive reviews, last year’s flagship phone, the HTC One X, struggled to sell, and the company’s net profit during the last three months of 2012 plummeted by more than 90% compared to the same period the previous year. It was the fourth quarter in a row that HTC profits had fallen sharply. Apple and Samsung, on the other hand, cornered the market with their new models, the iPhone 5 and Galaxy S3. More worryingly for the Taipei-based firm, HTC even dropped out of the ranks of the top five smartphone manufacturers by global market share, according to research firm IDC. The consultancy says the firm now trails behind Chinese low-end mobile phone companies Huawei and ZTE, who took the number three and number five spots respectively. Japan’s Sony snatched the number four place. HTC hopes that the HTC One with its aluminium unibody can help turn things around. “We’ve created the best smartphone on the market; we just need to let the world know about it,” said HTC chairman Peter Chou. A Gartner analyst agreed that marketing would be key if the company was to recover. “Last year, the Butterfly and the One X were actually very good devices, but the sales were not as good as [the firm] expected,” said Lu Chun-kuan. “The challenge remains that Samsung and Apple still have very a strong portfolio of premium devices.